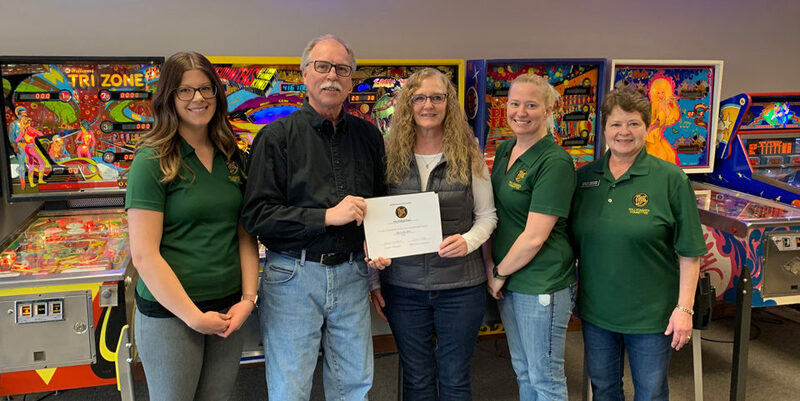 Dennis Geisenhof has been named the new Store Director at Cash Wise Foods, and the Willkommen Committee stopped by recently to congratulate him! Dennis is not new to the New Ulm store, he has been the Assistant Store Director since 1989. Born and raised in Little Falls, Dennis begin working for Coborn’s/Cash Wise when he was 16 years old. He joined the military for two years when he turned 18, then worked at the Hutchinson Cash Wise for three years before coming to New Ulm. Dennis and his wife, who is the produce manager at Cash Wise, have two grown sons who also live in New Ulm. 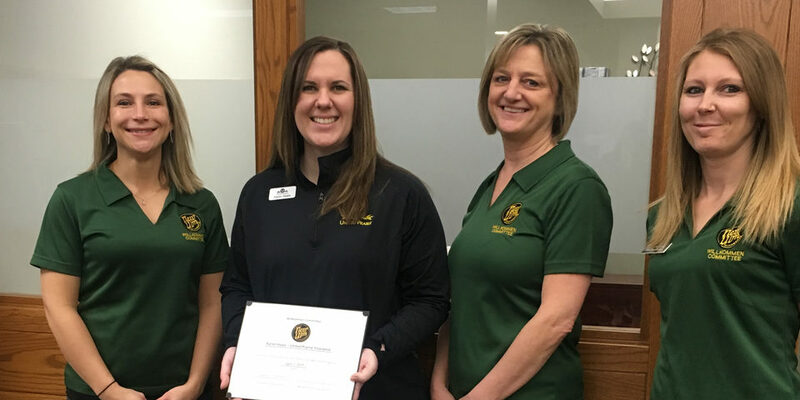 Cash Wise and Holiday in New Ulm have recently launched a new MORE Rewards program to help customers get MORE and save MORE. In the photo are: Randy Schroeder, Frandsen Bank & Trust; Dennis Geisenhof, Cash Wise Foods; Pam Kitzberger, Oak Hills Living Center.